Continuing its ACG revival , Nike put together two new colors of its Air Revaderchi model for Fall. Available in grey/purple and blue/teal/black looks, once again the shoe features a rugged mix of suede and mesh assisted by lace lockdown strap and a heel guard. Branding on the shoe comes light, as Nike branding appears at the heel and retro Air Revaderchi notation is found at the mid portion of the sole. 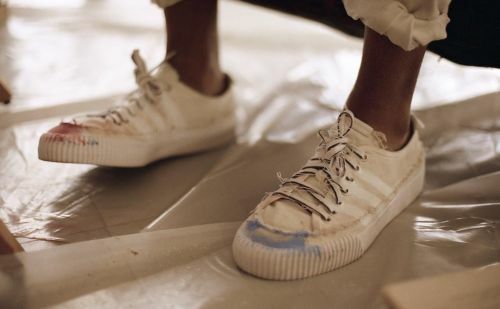 Finishing up the trail model is a rugged traction outsole and a speckled midsole. 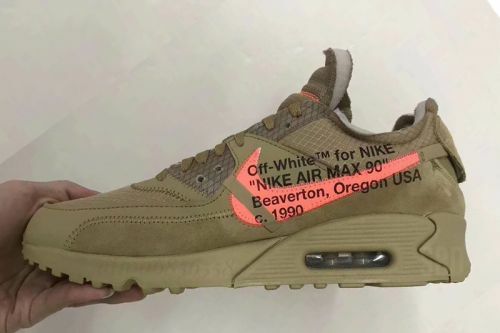 Shortly after receiving a closer look at the Off-White™ x Nike Air Max 90 "Black," we now have a first look at a "Desert Ore" of the collab model.